6 Business Card Design Ideas – That Actually Make Sense! Forget what your mother told you. Looks matter. You wouldn’t meet an important client in flip-flops, would you? You probably wouldn’t risk it. But why are so many entrepreneurs unwilling to invest time and effort into business card design? Business cards, if you’d forgive my poor analogy-choosing skills, are like the clothes you wear to a meeting. Being dressed appropriately inspires confidence. Sloppy dressers might have all the skills or the best products in the world, but until they do whatever they do, they are only as good as they look. 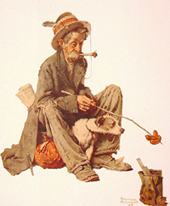 It’s not always the case, but c’mon – no one buys takes advice on hedge funds from people dressed like hobos for a reason. Dress like a bum, and people will treat you like one. The same principle applies with business cards. Here are a few things you should consider to give your business card design the impact you want it to have! 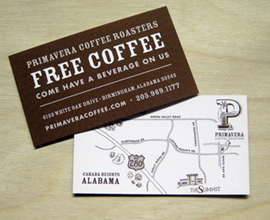 6 Business Card Design Tips Even The Pros Forget! Free coffee and directions. Now, that's a call to action! 1.) Typography counts. Even more on other prints. Legibility isn’t the only thing to take into account as far as fonts are concerned. Your choice should reflect the image you want to project. Let’s think do a little thought experiment. Would the CEO of a major corporation ever use Comic Sans or Papyrus? If they want to be taken seriously, probably not. 2.) Consider making business cards with alternate uses-turn the back part into a calendar, a map, a discount card, or whatever else you think might get customers to respond positively. This gives your business cards a fighting chance of being noticed. 3.) Use a nice stock. Bad quality card stock does nothing to inspire confidence. Using low quality stock will make your customers think you don’t care about details- and who would blame them? 4.) Choose stocks you could write on, if you possible. 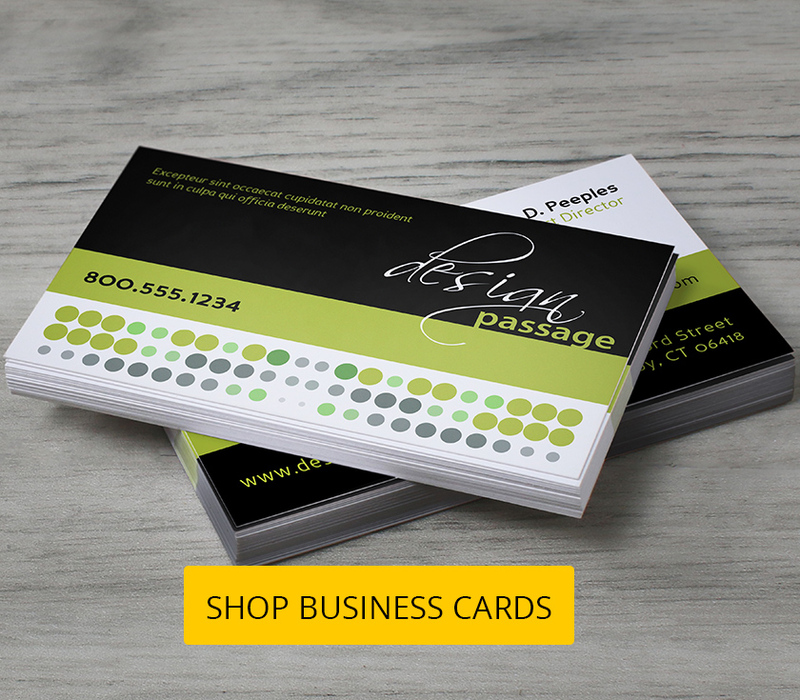 You’ll never know when you or your client might want to jot down one last bit of info on your business card. It’s one of those little things that matters in the real world. 5.) Use an eye catching design element– this could be anything, an image, typography, die cuts- whatever it takes to get noticed! 6.) Consider your printing costs. If you’re like most people, you won’t have an unlimited budget for this kind of thing. You might need to strike a balance between economy and design at some point. For instance, custom die-cut designs are generally more interesting to look at and they really do stand out since most business cards are by default, rectangles. However, they are a bit pricier and you make fewer cards for the same amount of money. 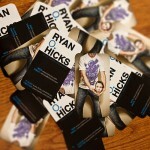 Most entrepreneurs do realize the need for business cards. They are often seen as just are a convenient way to exchange contact details. The truth is, they could be so much more. They not only build confidence, but help reinforce your brand. With luck, they can make people think you’re bigger than you actually are! If you have any more questions about business card design or feel you’ve got a bone to pick with us- anything at all, please feel free to drop us a line! 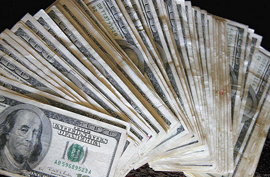 To know more about our range of services visit our site, or contact us a 1-888-888-4211.